This post may contain affiliate links: If you purchase through my link, I will receive a small commission at no additional cost to you. I only recommend products/services that I approve of. Purchasing through my links allows me to continue to provide unique content and pursue my business dreams. Thank you for supporting me. Ancient Enemy - it wants things . . . you have to give it what it wants. Seven hundred years ago the Anasazi people built massive cities in what is now the southwestern United States . . . and then they vanished. Stella, an archaeologist specializing in Anasazi culture, and David, a mysterious Navajo boy, are on the run from something terrifying. As they flee up into the snowy mountains of Colorado, they are carjacked by criminals escaping a botched bank robbery. Caught in a blizzard, they must take refuge in what they believe is an abandoned cabin. It's at this cabin where they will face horrors beyond their imagination. After a rancher finds ten mutilated bodies at a dig site on the Navajo Reservation, both Captain Begay of the Navajo Tribal Police and Special Agent Palmer of the FBI become involved ... but the case leads Palmer back up to Colorado where five more mutilated bodies and Stella's vehicle have been discovered at a burning cabin. Cole, Stella, and David escape the cabin on a snowmobile, heading south to get David back down to the Navajo lands. Now that Stella believes that David is a natural-born shaman, she knows that their only hope of David ever defeating the Ancient Enemy is to find a reclusive shaman named Joe Blackhorn who can help train David. 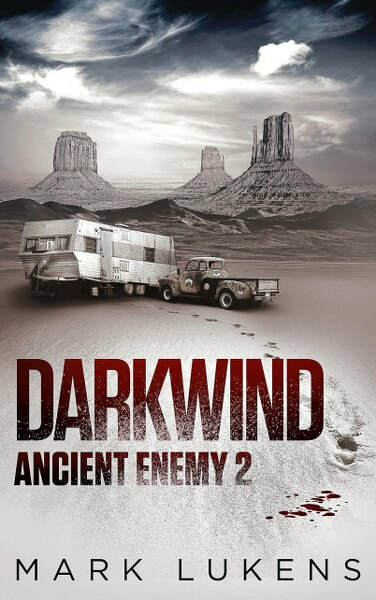 But with Agent Palmer and Captain Begay hot on their trail, Cole and Stella must find Joe Blackhorn and the secrets he possesses before the Ancient Enemy destroys them all. In 1891, in the badlands of northern Arizona, Jed Cartwright, a bounty hunter and U.S. Marshal, transports a dangerous prisoner back to the town of Smith Junction. As they travel through the woods, they are attacked by what they believe are skinwalkers. As Jed flees the woods, he finds a house where a family has been slaughtered - the only survivor is an eight-year-old Navajo boy, a boy traumatized by the horrors he has seen. As Jed and the Navajo boy make their way north to Smith Junction, a sudden sandstorm diverts them to the small town of Hope's End. They take refuge from the storm in the saloon with some of the townspeople. But hours later, when the storm is over, they discover what has happened to the rest of the people in Hope's End . . . and the terror is only beginning, everything leading up to a shocking twist at the end. 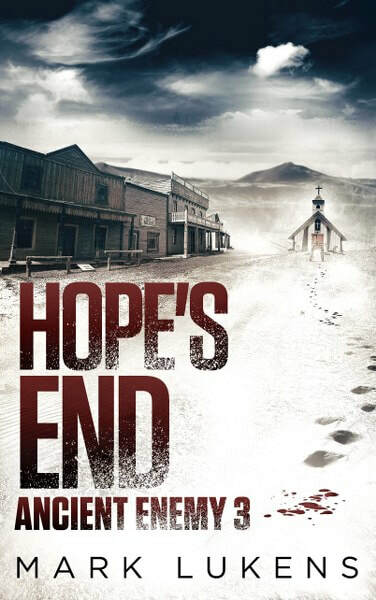 It has been seven years since David sent the Ancient Enemy back to its world in the ghost town that was once the town of Hope's End. Cole and Stella have lived in Costa Rica for the last seven years. They wanted to believe that it was really over . . . but there were always doubts. And when Stella sees a horrifying vision in the jungle, she's certain that the Ancient Enemy has returned. 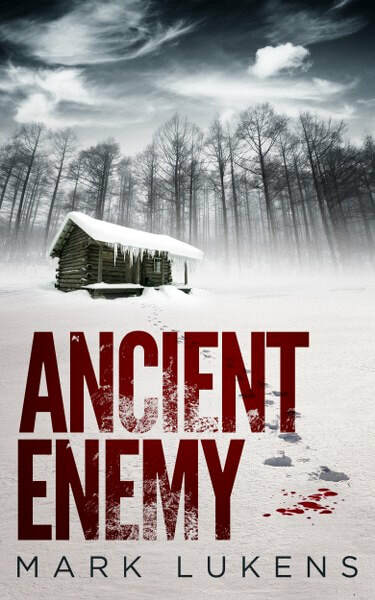 David, living at his aunt's house in New Mexico, knows the Ancient Enemy is back; he can feel it. And now nightmares about a serial killer possessed by the Ancient Enemy plague him, a killer who will stop at nothing, a killer who is coming for David. With Joe Blackhorn dead now, the only person David can turn to is Begay, the former captain of the Navajo Tribal Police. 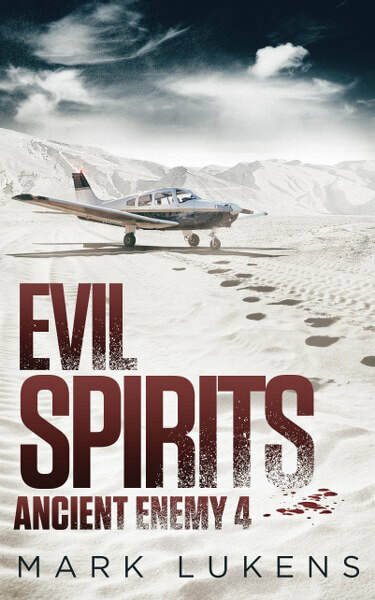 Former FBI agent Palmer's nightmares have returned, and when he's called in as a consultant on the recent copycat murders - re-creations of the massacre at the archaeological dig site seven years ago - he knows that the ancient evil is back. Together, they are drawn into one last stand against the Ancient Enemy . . . but this time the battle will be fought in the Ancient Enemy's world. Mark Lukens has been writing since the second grade when his teacher called his parents in for a conference because the ghost story he'd written had her a little concerned. Since then he's had several stories published and four screenplays optioned by producers in Hollywood. One script is in development to be produced. 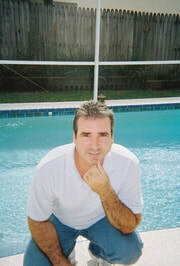 He is the author of many bestselling books including: Ancient Enemy, Darkwind: Ancient Enemy 2, Descendants of Magic, The Summoning, Night Terrors, Sightings, The Exorcist's Apprentice, What Lies Below, Devil's Island, The Darwin Effect, Ghost Town: a novella, and A Dark Collection: 12 Scary Stories. He is a member of The Horror Writers Association. He grew up in Daytona Beach, Florida. But after many travels and adventures, he settled down near Tampa, Florida with his wonderful wife and son ... and a stray cat they adopted. Disclaimer: "All opinions are 100% honest and my own." Thanks to Goodreads and Amazon for the book cover, about the book, and author information. FTC Guidelines: In accordance with FTC guidelines regarding endorsements and testimonials for bloggers, I would like my readers to know that many of the books and products I review are provided to me for free by the publisher, author of the book, company in exchange for an honest review. If I am compensated for any reviews on this site I will state that post has been sponsored. My Chaotic Ramblings and all participating bloggers are not held responsible for sponsors who do not fulfill their prize obligations. The giveaways on this site are in no way endorsed or sponsored by Facebook or any other social media site. The covers are all nicely done.